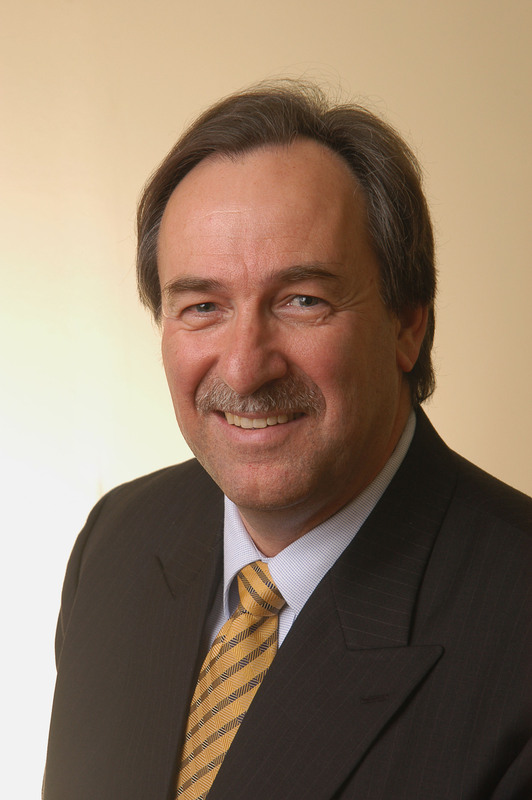 Read the latest Dawes Points from Paradigms' Head of Resources, Barry Dawes. Get in quick- get 9 years of industry activity free!! Production, reserves, resources and exploration since 2004 all thrown in free. The month of June 2013 in the future will be seen as a time of extremes. Most of it extremely bad. But the other side is that extremely good value has been created. The extreme fall of 76.7% in 26 months is a Crash all right, worse than 2008 and 1987, and right back to the 2004 levels but it is hard to see the reason for it. Gold in A$ today is A$1377 which is just 2% lower than the A$1409 at the April 2011 XGD Gold Index market high. Hardly extreme enough to warrant this selloff. Global equity markets are at or near all time highs and economic activity is still bubbling along steadily. Bearish talk on the global banking system is still with us and the never ending reports on the collapse of China are still front page, so what are the key reasons? And don’t tell me that gold is falling because of the Pollyanna global economy or that inflation is falling. Just note too, that the oil price is through US$100 and breaking the 2008 downtrend as referred to in my last Dawes Points. Egypt or not, this is not the sign of a deflationary environment at a time of accelerating global energy demand. Extremes were also evident on the market sentiment levels with the whole world aggressively bearish on gold, major short positions in the COMEX gold futures and the lowest bullish consensus in this bull market’s history. Extremes were also seen in the investment patterns of Asian gold buyers and particularly from Chinese and Indian demand which showed physical delivery in the June Half of 2013 to be greater than global mine production over the same period. The extremes continued in the US, Europe and Australia with mints working overtime to keep up with surging demand. This 28 June 2013 chart from Koos Jansen clearly shows the year to date delivery of gold from Shanghai Gold Exchange at 1044 tonnes was 80% of all world mined gold (~2700tpa) and with about another 800tpa from India the physical demand from these two countries alone is greater than annual mine production. Reports still show strong demand for coin and bar in US, Europe and Australia and delays in delivery are being experienced everywhere. And inventories are drying up with COMEX warehouse gold down over 30% since end 2012. The focus there is on JP Morgan which has had a disproportionate decline in its holdings as its clients have taken delivery. What are we to make of all this? I can suggest that the market sentiment is just not right for a bear market to have happened nor to continue. Gold stocks in Australia (XGD) and North America (XAU) seem to be assuming a gold price under US$800/oz and that gold will stay down forever. The XGD fell 76.7% to its low of 1984 and the XAU fell 64%. XGD fell back to 10 year lows. All of the efforts of the past 9 years have just evaporated. Yet gold is still US$1250. Certainly it tripped under US$1200 for a moment and is now back up to US$1265. 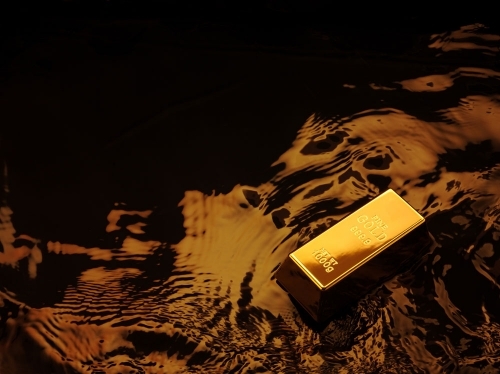 Is US$1250 a good price for gold producers? Ok for some, but new projects will need US$2000 to justify remote or difficult terrains. It seems that we investors in gold stocks have experienced the proverbial round trip in that the ASX Gold Index ran up 310% over 7 years from 2004 and as now given it all up in a 26 month debacle that brought the index down 76.7% to the lows there in late June . Gold company managers have received strong criticism from investors for cost overruns and technically affected projects and bear markets have that effect of providing no hiding place for problems in any operation. So most companies are cost cutting, selling assets and deferring capex to optimize cashflows. This will be beneficial for everyone, especially shareholders, in the future. The markets have declined but note the volume increases in XGD with both value and the number of transactions increasing. This market is under accumulation. Note that stale bull selling seems to also be increasing as the number of shares is rising but at lower prices. The decline in average transaction value from A$20,000 to <A$3,000 also suggests not a lot of institutional interest yet. These 75% off lower prices must end very soon so you should take advantage of the opportunities. It is hard to believe that entry prices will get any better. So what did we get for all that effort of the last 9 years? Looking at the 38 stocks in the ASX 300 Gold Index we find some interesting stuff. In 2004 only 8 of these 38 stocks currently in XGD were producers. Today these 38 stocks include 21 producers and substantially higher aggregate resources, reserves and production. The whole Australian Gold Industry spent more than A$5bn in exploration in Australia over the next 9 years (ABS stats) from 2004 and probably >A$15bn (A$4.3bn in FY12) in mine capex. It needs to be recognised that Australia’s large mines spent at large part of these funds but were sold off to North America and so are not in the XGD. So the round trip was all for nought. The collapse in the gold price from US$1400 to US$1200/oz seems to have made everything worthless. The market assumes no one could be making money. It is strange that so many commentators are calling that the gold bull market must be over. Despite all the physical gold demand from those Chinese and Indians who have recently been buying about 1300 tonnes per year and in the first half of 2013 at about 3000tpa rate that exceeds global mine production. Despite all the public demand for coins and small gold bars. Despite the main reason for buying gold being continuing increase in fiat currency issue, continuing government budget deficits and growing government debt levels. Some group is selling and it is not just from the North American ETFs. Yes mine production has exploded to a ten year growth average rate of 0.7%pa to 2800t and all those central banks have stepped up selling such that this year is likely to be a net buying of about 400t and the highest in about 30 years. This is a huge increase in supply. Minus 400tpa. Yes all the key buyers who take up about 140% of annual mine supply have got it all wrong because the US investment banks and hedge funds just know better. "There are 170,000 tonnes of gold out there in the market and we can sell it all at any time. We showed you what we can do. We sold a year's mine supply (2800t) in an afternoon by just spinning our Rolodex!! Yes and just as those 170,000 tonnes turn into 5.5bn oz of gold it shows that we have over US$7 trillion of fire power. Yes, and we have US$17 trillion in bonds to protect so you guys can just sit back in fear." - major Investment Bank. "What's that? You mean that just because we sold the gold futures contracts for gold we don't have and that because all the Chinese and Indians have given it out in 1 oz bars and as necklace jewellery to their families that we might not be able to buy it back? No way! You forgot that the ETFs have about 1000 tonnes of gold and we can buy it back from all these suckers! Gotcha again!!" "So all you investors in gold stocks just better sell out now because you are going nowhere. Oh, and by the way, if you wanted to sell your good stuff, but not the junky stuff, then I will help you by taking it off your hands right now. Just to help you out. What are friends for. No problem." Yes everyone, we have been conned. The proverbial price of everything and value of nothing has brought gold stocks to the level they were in 2004 when gold was US$400/oz. So let's look again at the relatives. Extremes here. 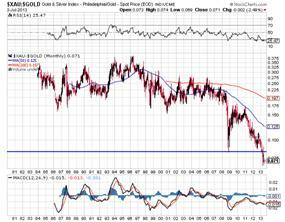 In the XAU against gold it is at very long term lows and I have seen that it is the lowest level since the early 1970s. The ratio is 70% lower than the average of the 25 years to just before the GFC in 2008. 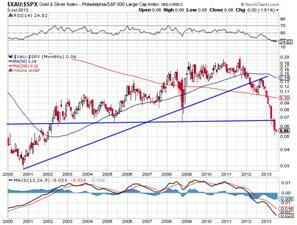 And after outperforming the S&P 500 by 16%pa for 11 years until 2011 the XAU fell 72% against stocks. Same story in Australia for weekly closes. So what are we to do? The banking system problems haven't gone away and central banks everywhere are printing money like tomorrow won't come. Physical demand is going gangbusters and mine supply is finding it very hard to match last year's level. Low prices below US$1300/oz will mean some players might just not make it. Overall though, C1 cash operating costs might still be below US$1000 and a bit of tweaking to treat higher grades might help for a while but if gold stays down for too long there would be more mine closures. Share prices at 75% off the April 2011 highs are very attractive and should be tempting everyone to come back to add to positions. But the more important questions in this market surround who are the sellers and who might be the buyers? What has happened here in Australia? It is clear from reviewing the Top 20 shareholdings of most Australian gold companies that individuals (usually management) are the largest shareholders and, outside of the top 15 gold stocks, any institutional investors are rare inside of the top 10. The major funds are simply not there. In hindsight this is wonderful. Few losses in the past two years of misery. But also few gains on the way up to 2008. I come back again to my pet issues of participation in the market and market breadth. My assessment is that few players are in these markets and few players mean low liquidity. And low liquidity means poor competitive valuations. Few players mean a buyer cannot readily get volume and of course few buyers mean a seller can only move price. The biggest gold stocks achieved premium pricing but most small companies were just ignored and were given big pricing discounts. My years managing the resources portfolio at hyperactive BT Australia thirty years ago and the subsequent years as Head of Resources Research at Deutsche Bank followed by the same position at Macquarie Bank gave good experience and insights to investment at the highest levels. But things are different today. Far from being the drivers in investment in the mining, petroleum and agricultural sectors, the institutional fund managers are risk averse and seemingly at odds with their roles of taking long term views to match their risk maturities. Australia in June 2012 had A$1400bn in superfunds. Contributions have been around A$115bn pa (A$85bn from the private sector) and investment earnings since must have been around 5% so another A$70bn increase is likely. After subtracting the mining sector losses (only in the SMSFs) we must be closer to A$1550bn today. Paul Keating must be so proud of this massive bulwark of investment assisting Australian companies grow and compete in the global marketplace and bringing joy and wealth to all Australians. The default portfolio for APRA funds (making up about 43% (67% in industry funds) of APRA's A$917bn share of the A$1400bn) shows 28% of asset are in Australian equities and 9% in Fixed Income. Then there is 23% in overseas equities. Wonderful. Diversification into Google, Deutsche Bank and LVHM. Oh, and there is 5% in overseas Fixed Income securities. Hmmm. That makes 28% offshore. And there is 9% in cash but SMSFs have been much higher. Probably as bank deposits to allow lending to grow and expand the Australian economy. And are the banks lending to anyone at present? Did anyone think that taking out A$85bn (6% of GDP) as the Super Guarantee Levy tax ( yes it is a tax .. no ..no.. it is a supplement to wages.. a tradeoff against higher wages... those union boys have really helped their members) might be contractionary in the economy? Impossible. No, how could it. Think of the productivity gains and trade offs. And the reinvestment into the economy. Well just look at the numbers. All of just 38% goes back into the Australian real economy. Fantastic. That other 62% A$52bn that does nothing for Australia or goes overseas. Unlike ordinary taxes that go the government and straight back into the economy. And so we have the development sector of the Australian economy deprived of funds. So little for resources, technology, agriculture and biotech. Coming back to participation in the markets, it has been my assessment that the 1998-2008 bull market in commodities was not well supported at an institutional funds management level. The US$10/bbl to US$147 in crude oil was just a ten year bubble. As for copper or gold or whatever, just not attractive enough. Hence my description of the Disbelief upleg. Pessimism followed Disbelief and boy did we get it in 2008. End of the world stuff. And "I told you so." So low Participation and so no-one knew values on the way up and of course no-one wanted to know them on the way down. But after this disaster the ASX Gold Index rallied and went to a new alltime high in April 2011. This has always impressed me. So looking again to the 75% sell off that has brought us back to the levels of 2004 and bouncing off major extreme technical support. How can we view this other than as an opportunity of extreme attractive value? And if we decide this is an extreme value low in what in my estimation is a major long term bull market in gold then really, as an entry point, it simply just doesn't get any better. Sir John Templeton was one of the great money managers of the 20th Century (he passed away in 2008 at 95) and amongst his many achievements he was known for his many quotable quotes. One of his best known was Bull markets are born in Pessimism, grow on Scepticism, mature on Optimism and die in Euphoria. Juggled around this can become the first leg is Disbelief, followed by Pessimism with Optimism leading Opportunity and finally closing with Euphoria. Our model here clearly confirms the Pessimism and the subsequent extreme decline into Despair but the fundamentals from my perception still point to a bull market in gold prices and expansion in gold production and earnings. So we can only conclude that the 75%-off sale is finishing something and morphing to starting something. That something should be something very big as the opportunity is now there for new investors as trustees of SMSFs to embrace a rising gold market together with a better appreciation of the skills of the managers of this sector. This will provide the previously missing Participation by more players and also give Market Breadth as more companies are appreciated across the sectors. That would blend together to underpin the Optimism Upleg I refer to. The last Dawes Points on gold gave us a performance table that was very sad. Lots of >80 and >90% price falls. I can only conclude that extremes everywhere are just making for extreme value and strong buy signals. But the opportunity is here and now. The stocks to play are NCM, EVN, MML, SAR, RMS, PIR, OGC, NST and BDR. DISCLOSURE OF INTERESTS SPECIFIC Paradigm Securities Pty Ltd and its associates declare that as of 5 July 2013, they may have a relevant interest in the securities recommended herein. Paradigm may have been involved in capital raising for companies analysed in the report in the prior four years. Barry Dawes, the author of this report has holdings in NCM, MML, SAR and NST at the time of writing. Copyright © 2013 Martin Place Securities, All rights reserved.